Music has always been Ruby's first love. But has it ever loved her back? Slip behind the scenes of the classical music world one hot, anything-can-happen, New York City summer. Ruby has always been Ruby Chertok: future classical pianist and daughter of renowned composer Martin Chertok. But after her horrendous audition for the prestigious music school where her father is on faculty, it's clear that music has publicly dumped her. Now Ruby is suddenly just . . . Ruby. And who is that again? All she knows is that she wants away from the world of classical music for good. Oscar is a wunderkind, a musical genius. Just ask any of the 1.8 million people who've watched him conduct on YouTube--or hey, just ask Oscar. But while he might be the type who'd name himself when asked about his favorite composer and somehow make you love him more for it, Oscar is not the type to jeopardize his chance to study under the great Martin Chertok--not for a crush. 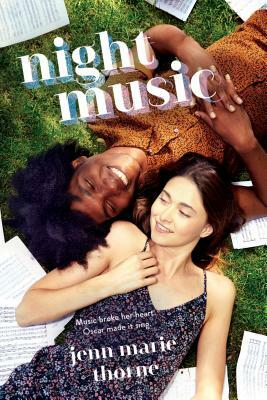 He's all too aware of how the ultra-privileged world of classical music might interpret a black guy like him falling for his benefactor's white daughter. But as the New York City summer heats up, so does the spark between Ruby and Oscar. Soon their connection crackles with the same alive, uncontainable energy as the city itself. Can two people still figuring themselves out figure out how to be together? Or will the world make the choice for them?